"Developed to keep you organized"
Started from kayaking with the family and evolved into fishing the Great Lakes to the Oceans. 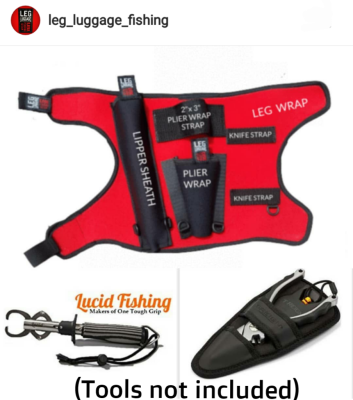 Let me start by saying LEG LUGGAGE is the result of many hours of kayak fishing. Space is limited and movement is restricted. With a fish on the line if your equipment is not prepared it could mean the difference of a great photo-op or the story of the fish that got away. 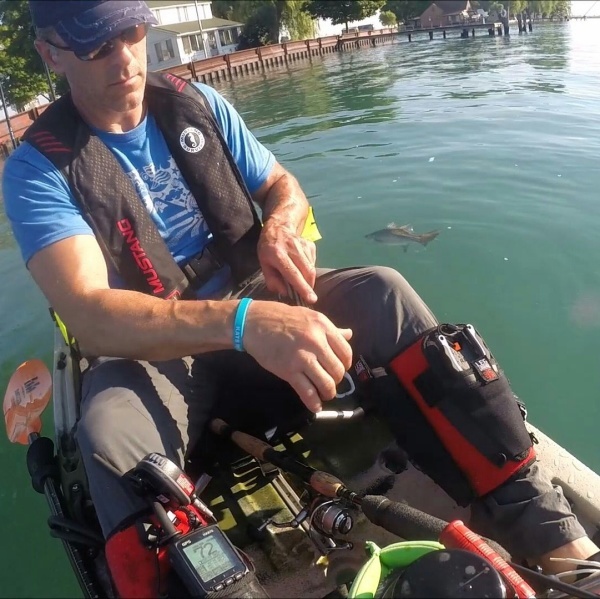 Prior to LEG LUGGAGE , my tools were zipped up in my PFD, laying on the deck, or worse yet in a box behind me. During a tournament I had a fish on the line that would have kept me in the money and my lipper was lost to the abyss under my seat. I thought who needs it, I can land this fish . Needless to say I lost both the fish and money. Something had to be done.